While doctors say that it may curve into her heart and cause her death, her parents found that no one ever died of the condition. Some disorders can leave people with physical deformities that can prove to be life altering or even fatal. But while surgery is traditionally seen as a way to treat this, there are also people who choose to fight it out. 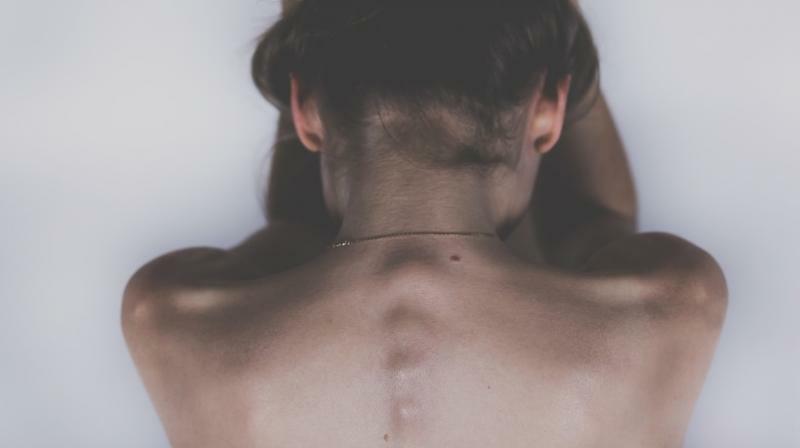 25-year-old Instagram star Hayley Wakefield was diagnosed with scoliosis at the age of nine since her hips were uneven. But she is refusing to undergo surgery to fix an 80-degree curve in her spine which may kill her according to doctors. While doctors are concerned that it may curve into her heart and cause her death, her parents did their own research and found no one ever died of the condition. Hayley decided to go for chiropractic care and exercises to strengthen muscles supporting her spine and the curve reduced from 92 degrees to 80. While the condition doesn’t affect her day-to-day activities, Hayley does feel concerned about her appearance. But with time she has started seeing it as a part of who she is.